"Every cooking class is an opportunity to bring people of different ages, races, and beliefs together centering on the love of food, and an enthusiasm to make dishes that I hold close to my heart. I love seeing the joy on people's faces when they make and enjoy a unique dish, and when they share that joy with those around them. Food is love." 1. Hi Kaori, can you introduce your company and tell us more about the experiences that you are offering on Verlocal? My company, called Kaori's Kitchen, officially started last year in October. I had been teaching cooking classes for a few years prior as an instructor in various schools but decided it was time to start my own. 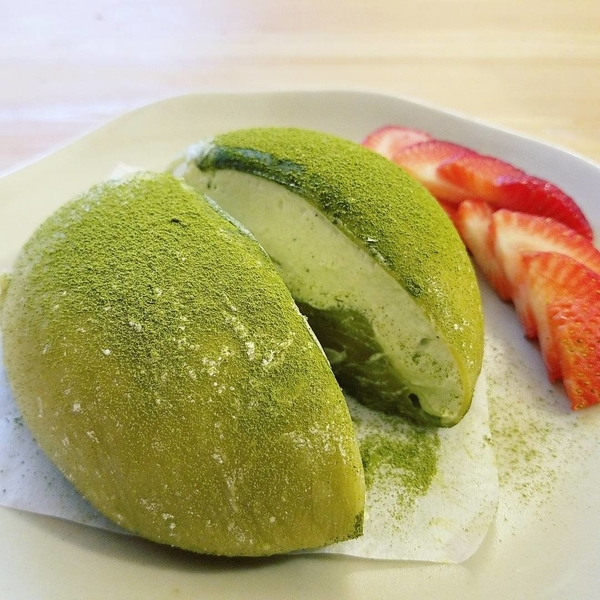 I'm currently offering mochi classes on Verlocal, where you learn to make 4 types of sweet and savory mochi dishes from Japanese glutinous rice. I will also soon be offering a Japanese sweet breads class and homemade Vietnamese pho class. 2. Tell us about your company background: When did you first become inspired to join the cooking class business industry? I first became inspired to teach cooking classes about 3 years ago, when I was volunteering at a local cooking school in Columbus, Ohio, where I was living at the time. I was assisting a cooking class where someone (who wasn't a certified chef) was teaching a cooking class of foods from their heritage. It was a "Eureka!" moment when I realized I could teach a class without having to have gone to culinary school. I could teach classes about dishes from my Japanese heritage! I already loved cooking a lot, and I was at that time studying to be a teacher, so I believed I could combine these two talents to teach cooking classes. 3. Can you tell us more about the design process of your cooking classes? I usually start by planning the menu and then the order in which guests will get to cook and enjoy various dishes. I think the order is important, for managing time, and so that guests can learn a variety of techniques and get to enjoy their dishes in a timely manner. Also, I think about which dishes are most interesting and would bring people the most joy through taste and through the cooking process. 4. Can you tell us what differentiates your cooking classes? I think what differentiates my classes is a sense of warmness and openness to students' questions during the class, and that I let students learn on their own time and at their own pace. I think it is also unique that my Japanese mother usually assists with my classes, and people said it has been fun and hilarious watching the dynamic of our relationship at times. My classes also cover a lot of ground and in an in-depth manner, so that students will truly be able to recreate the recipes they learn in class, in their own homes. Also, they get to eat delicious food in class, and then take some home, too! 5. Tell us about your biggest achievement since the start of Kaori's Kitchen. My biggest achievement has been hitting my net income goals at the earlier part of this year. I set a financial goal for myself, and with the support of my business mentor and family, I was able to hit that goal. It made me realize and kind of prove to myself that I could make a great income for myself doing something I love. It showed me I could set a goal and achieve that goal through hard work and thinking outside the box. 6. What was your biggest challenge when you first started your business? My biggest challenge was figuring out which classes I wanted to offer, where to offer them, which kitchen to use for my classes, and getting those initial reviews from customers. 7. What inspires you to continue building and improving your business? I aim to become a better cook and teacher each and every day. I became a better cook through testing my recipes and fine-tuning them. I became a better instructor through refining my teaching method, making sure I thoroughly explain the processes in a step-by-step manner that is easy for students to understand, and making sure I have a deep knowledge of each dish I am making. This motivates me to improve myself every day. 8. What are your business goals for the future? I aim to work more with businesses and team building experiences. I had a great time teaching a cooking class to a group of employees recently, and I would like to do more of that. I love bringing people together and facilitating closer and more connected relationships through cooking together. 9. What advice can you give to people who want to create a business in the cooking class industry? I would say develop a simple but tasty menu from your heritage, and then give it a try! You don't have to be a certified chef who has graduated from culinary school in order to teach a class. Redefine what's possible for your life, and include your passions in your career! It might feel risky at first, or not as secure as working a 9 to 5 job, but the satisfaction of running your own cooking class business is so worth it!